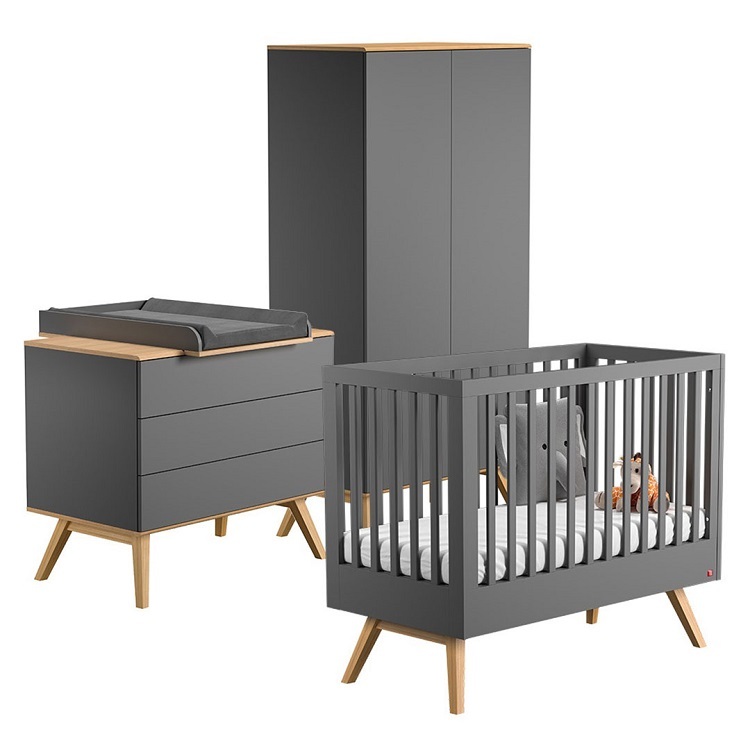 The new Mitra Collection from VOX (previously known as the Nature Collection) is sure to make it easier than ever to create a beautiful baby nursery, offering three signature pieces in high-quality graphite and oak. Perfect for modern boho nurseries, gender neutral baby rooms and bedrooms for growing toddlers, each piece in this collection is designed to adapt to your baby throughout each stage of growth. Signature pieces in the VOX Mitra Collection include the Mitra Compactum, with removable graphite change tray; the Mitra Dresser, with ample space provided in its large drawers; the Mitra Two-Door Wardrobe, which opens easily with just a touch; and the Mitra Cot Bed that offers three levels to adjust to your child as they make the transition from infant to toddler and small child. 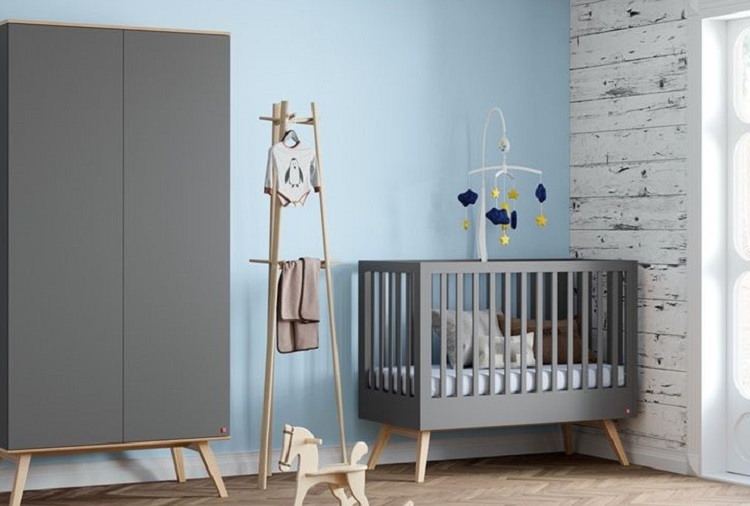 The contemporary graphite and oak finish of the VOX Mitra range makes it versatile in rooms of all styles, while the smooth-touch laminated chipboard and lack of sharp edges make each piece suitable for small humans. Inspired by natural materials and spaces, the Mitra Collection uses subtle contrasts and unconventional pairings to create a contemporary range that has elements of nature combined with raw industrial elements. 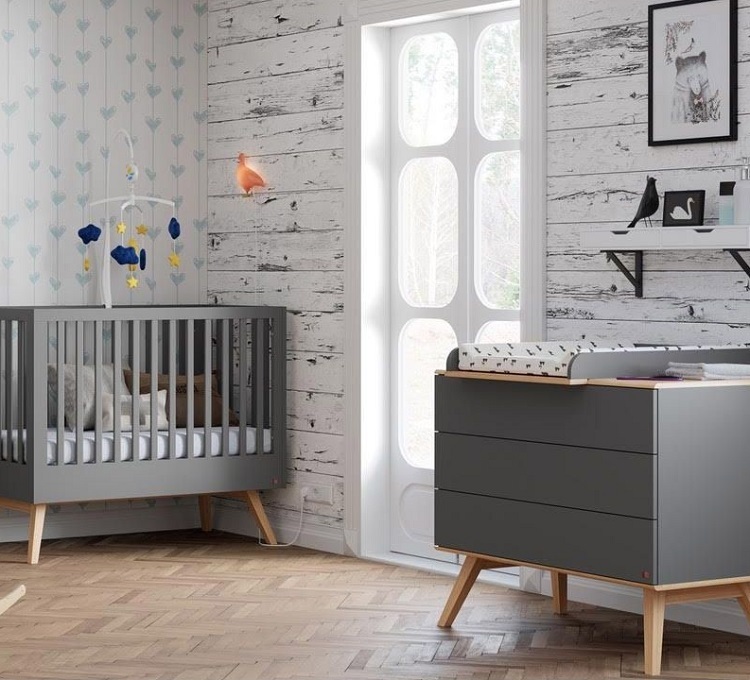 The combination of graphite and oak is soothing yet bold, working well in modern baby nurseries, toddler rooms and kids bedrooms. 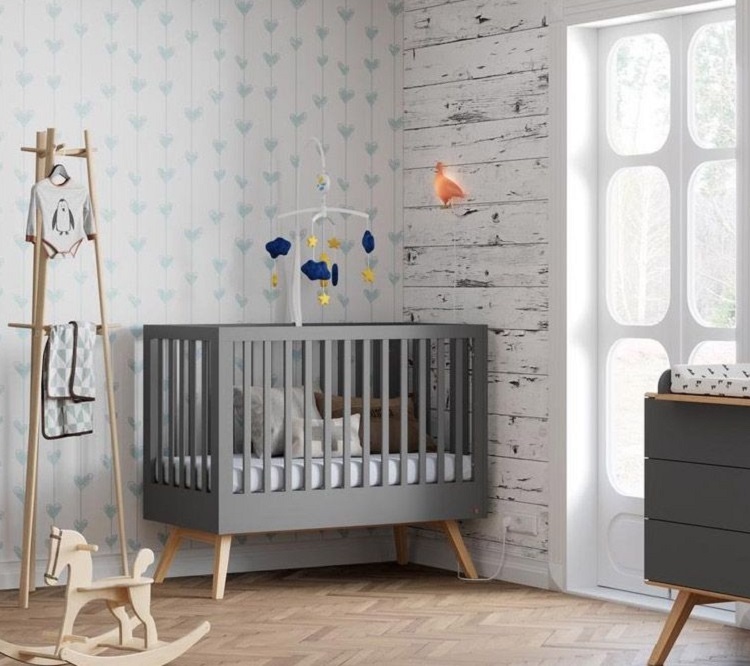 Graphite and oak is a combination that works perfectly in gender-neutral nurseries, adding a touch of colour and warmth while still easily blending into existing decor styles. The Mitra Compactum has a removable change tray in graphite. As the nappy days come to an end, the tray can be removed, turning the compactum into a dresser. The Mitra Dresser is also available for toddler and kids bedrooms. Both the compactum and dresser feature spacious easy-open drawers that do not require handles. The clean lines of this range help to create a soothing nursery that is calming and subtle, while still keeping its modern style. Pieces such as the Mitra Two-Door Wardrobe will blend into the room, fitting easily into a corner or against a wall without taking up excessive space. This wardrobe also features easy-touch opening, eliminating the need for handles and ensuring a smoother, comfortable finish. On the right-hand side, there are five shelves that can be adjusted in height. On the left side, there is a hanger section that also has an additional top and bottom shelf for added storage. Angled oak legs and sturdy construction make these pieces even more adaptable. The Mitra Cot Bed is especially efficient and will take your little one through the infant years all the way through the toddler years and over without the need to replace the bed when the time comes to upgrade to a bigger kids bed. Three adjustable levels allow the cot to lower to suit the changing needs of your little one. As your baby is ready to make the move from cot to toddler bed, the side panels can be easily removed, giving your toddler a safe bed with high headboard and reducing the need to replace beds as your child grows. From baby nursery to toddler room the VOX Mitra Collection is a favourite when it comes to value. Whether you are preparing to plan for your new baby’s arrival with a gorgeous nursery that will grow as your baby grows, or you are aiming to transition from a nursery to a toddler room in the not too distant future, the Mitra Collection from VOX offers everything you need for a modern, soothing baby nursery. Our top tips on decor inspiration, parenting and product launches.